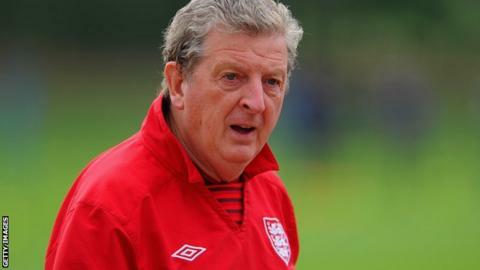 England manager Roy Hodgson believes his team must change their style of play if they are to be more successful. Hodgson has acknowledged that England need to be better with the ball than they were at Euro 2012. "England must maintain possession better," Hodgson told thefa.com. "We must also show we are capable of seizing the initiative and dominating games in tournaments rather than holding out and hitting opponents on the counter-attack." England were outplayed by Italy in the quarter-finals of Euro 2012 in Kiev before going out on penalties after a 0-0 draw. Speaking at the Uefa conference for European national teams in Poland, Hodgson, 65, added that the recent 5-0 World Cup qualifying victory in Moldova, which followed August's 2-1 friendly win over Italy in Berne, suggested England were moving in the right direction. He said: "In the matches since the Euros, particularly against Italy and Moldova, I think we have already demonstrated how we would like our national team football philosophy to be. "My years of experience have taught me to be slightly wary of stats and certainly wary of basing my judgement on a team's ability to play in purely statistical terms. "However, there is no doubt that the key to being a successful team lies in your ability to pass the ball and support each other. "This is an area of play that I'd like to think, during my time as England manager, we will improve."